Lori Schulman brings to Wake Up for Autism over twenty years of experience in the field of Autism. 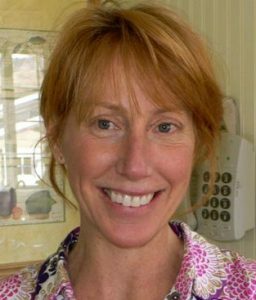 Schulman began her career as a special education teacher in Greenwich, Connecticut in the early 1990’s then becoming a behavioral therapy provider. In 1999, Schulman founded The Loden Group, providing habilitation and respite care to individuals with Autism and related developmental challenges as a qualified vendor for the State of Arizona, Department of Developmental Disabilities. Schulman combined the principles of Applied Behavior Analysis with a “whole child” approach creating individualized programs to help her clients meet their daily challenges. In 2009 Schulman became the Executive Director of the HollyRod Foundation, which provides compassionate care for individuals with Autism and Parkinson’s disease. It was there that Schulman created the innovative “Give the Gift of Voice” program, which raises money to give away iPads to nonverbal individuals on the autism spectrum. Most recently, Schulman has served as Interim Deputy Director of CoachArt, an organization providing free lessons in the Arts and Athletics to children with chronic and life-threatening illnesses, along with their siblings. While there, she helped organize their first ever Summer Camp, managed programs, developed protocols and assisted with social media and database platforms. Schulman credits her years of work within the field of Autism for early recognition and identification of her daughter’s challenges and strives for all parents to have access to needed resources and supportive communities with which to get early diagnosis and intervention. Schulman’s ability to combine her extensive professional experience along with her personal journey as a mother to a child with developmental and medical challenges gives her a unique perspective and understanding to creatively help Wake Up for Autism realize it’s vision and make a meaningful impact in the community. Nutrition, whole foods, and wellness have been passions for me since I was a highschool kid in the 1970s. I’ve been a registered dietitian since 1989, and licensed with the Massachusetts Board of Dietitians and Nutritionists since 2002. I have a master’s degree in public health nutrition from the University of Hawaii, and a bachelor’s degree in food science and human nutrition from the University of Vermont. I began biomedical treatment trainings with the Autism Research Institute in 1999 and am versed in Defeat Autism Now! treatment protocols. Prior to setting up my nutrition practice for children in 1999, I worked as a research technician, nutrition educator, grant writer, and outpatient dietitian – all formative experiences for me in the scientific process and applied nutrition. But my professional path was most informed by my own son’s many challenges with feeding, growth, and development when he was a baby – challenges that responded beautifully to nutrition interventions. I was dismayed that his pediatric physicians had limited nutrition skills and knowledge to help. I saw a gap in the pediatric care landscape, and redirected my career. For children with developmental concerns like autism, early nutrition intervention can be critical, and I’ve made this underserved population my passion. I’ve published three books on special diets and nutrition for children with autism. I created the first web-based, accredited learning module on nutrition and autism for dietitians and nurses. I testified before state and federal lawmakers for safer vaccines, consulted with industry partners on specialized formulas for infants and children with inflammatory conditions, and have assisted non-profits and hospitals serving children with special needs. I’m proud to be pioneer in my field, where there is a lot of work to do to inform physicians and families alike about the promising nutrition role plays for children with special needs.